2. Why do we choose eyebrow threading? 4. What areas can be threaded? 6. Where can I get my eyebrows threaded? 10.1. 1. Is eyebrow threading safe for sensitive skin? 10.2. 2. Will the hair face grow back darker? 10.3. 3. Can I have a facial threading with acne? 10.4. 4. If I have cosmetic surgery, can I get threaded? 10.5. 5. Can men make eyebrow threading? 10.6. 6. How long will I do eyebrow threading again? 10.7. 7. What age should I start threading and is this good for teens? 10.8. 8. plucking hurt more than threading? 10.9. 9. I wonder to know about eyebrow threading before and after what does it look like? Honestly, this might the first time you’ve heard about eyebrow threading. 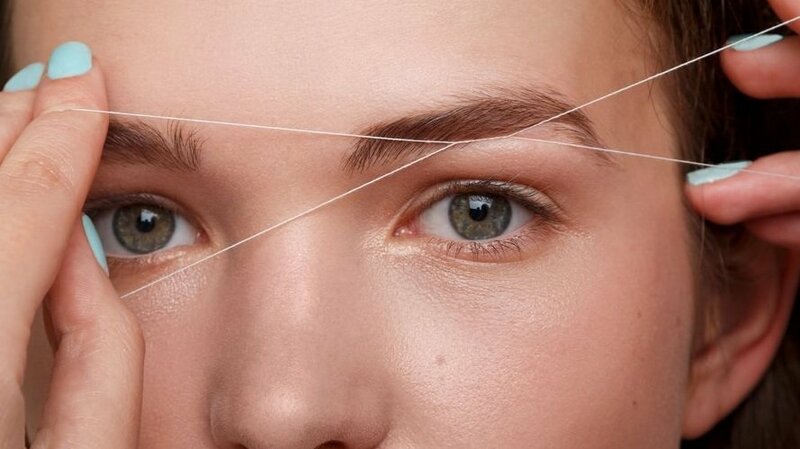 When somebody introduced eyebrow threading, you were curious about its effectiveness, what is threading and how to do it with painless. After reading a bunch of articles and applying it to my eyebrow, I decide to share a truly and post with you. Eyebrow threading is a technique threading hair removal by using a particular thread. It will roll and remove unwanted hair to make a better precision eyebrow shape. Typically it was one of the popular beauty methods of Asia women and the Middle East for centuries. You may hear about eyebrow waxing and eyebrow tweezing for a few years ago however eyebrows threading becomes more common in spa beauty nowadays . Why do we choose eyebrow threading? The big question here is why we choose eyebrow threading instead of eyebrow waxing or plucking. 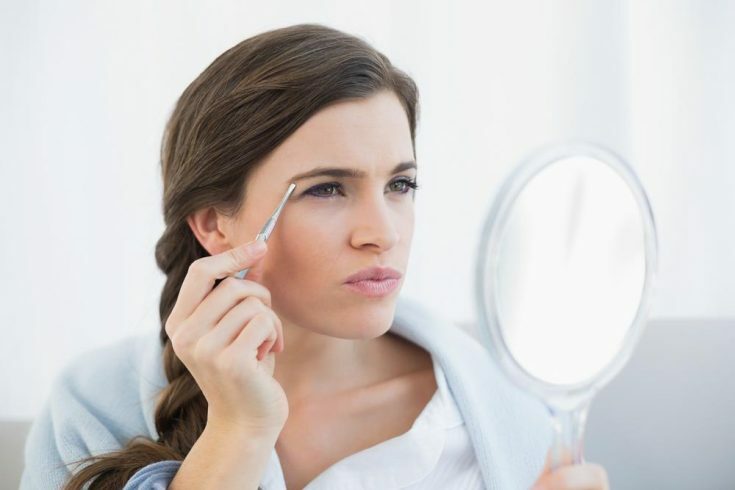 This article will show you advantages of threading eyebrows. Can be dangerous when the hot water is put above the eyes. If your skin is sensitive, then it might be redness and red bumps that appeared around your eye. Detach the layer of skin with hair. If the follicle is broken then waxing might cause ingrown hair. Susceptible to get infection and abscesses. Take longer time than other techniques. Using a flat edge or slant edge; therefore the thicker hair can be removed. It can get unsymmetrical eyebrows because you just use one hand to pluck. Redness or bump around the areas. It doesn’t pain that much to compare with other technique. Seriously, you might worry about the pain level of eyebrow threading. Hence, you are still looking for another method. No! Base on my experience it just makes an unusual sensation. Precise shape. Threaded eyebrows remove the tiniest hair and its follicle then you got the precise shape. It does not make severe red or irritable. Because of no pulling or straining the skin anymore. Safe for a sensitive and irritable skin. Brow threading can take about 5-7 minutes. Time for hairs grow back is slow. It is fine with acne. While you think just eyebrow can be threaded, there are many areas of the body can be threaded such as chin, lip, neck and fingers. You are curious about the ways you are doing for your eyebrow right or wrong. In more words, you are looking an exact method for it. Now you can take your time to know detail steps for eyebrow threading . Prepare some high-cotton sewing to thread then measuring out about 14 inches (35 cm). This material won’t snap off the eyebrow hairs and grip better than other synthetic sewing threading. Remember do not take string or floss because of it low effectiveness. Small scissors for the eyebrow. This will trim the eyebrow before thread. Otherwise, it will help sharp enough for getting hairs. Prepare an eyebrow brush. Choose an eyebrow brush for eyebrow threading that clean dirt or bacteria around brows before getting eyebrows threaded. An eyebrow pencil to make a good shape. It might use this pencil to make a shape for your eyebrow that helps you thread more easily. Remember to check the eyebrow pencil can wash by makeup remover product or clean water so you may remove the outline of eyebrow when you do. Some ice cubes or gel. These supplies help to ease any redness or irritation feeling from your eyebrows after threading. Aloe Vera gel is one of the good choices. In addition, you can wrap the ice pack in the clean towel then apply to the threaded areas. Position: you should standing in front of a good quality mirror with all the supplies that set up. You also ensure the good lighting is clear enough to see your eyebrows. Prepare the eyebrows. Use an eyebrow brush to sweep hair up. Then keep each section stable with the comb. After that, use the scissors to trim some long hairs out of the comb. Sweep the hair downward then hold it again. Notice: Snip any standout or tall hairs, don’t cut too many hairs, then comb back after trimming them. Draw the shape. You will use the pencil to draw the shape that you fancy to have. You can go starting from inside of the brow then draw outward. Make them symmetrical and beautiful. Depend on what kind of shape eyebrows are you so try to draw the outline suitable. Form a loop by tie the thread. Hold the sewing thread against your forearm then tie two ends to make a loop. You might ensure the loop is tightly together. Trim all extra end so you will have a good loop to threading eyebrows. Take 4-5 times for twisting. Then you can hold one end to take another thumb to make hang motionless with another end. Twist the loop 4-5 times while keeping one end by the finger. Add a twisted middle section on one by one hand to make sure it looks like a bow tie form. Twist center over the eyebrow. Before you thread, you should practice threading motion by your hands with these steps like: open the forefinger and thumb then you should close another hand, after that the loop go back and forth to raise and reduce the distance. This practice will support removing your brow hairs correctly. You should do several times to control the loop. Then you twist center over the eyebrow directly with the hair you like to remove. You should take a firm position in the loop form by your finger in two ends. Control the central twist. Slide the central twist opposite your skin firmly and slowly then you will see the central twist will eliminate hairs by opening and closing your hand. Make sure thread the eyebrow hairs against the direction of hair growth. Remember don’t tug hard the twisted center into the skin; it might cause pain and redness. Do it until you feel satisfied. Place the twisted center to the first area and do another stroke after removing a section. You can get rid of a small or bigger amount of eyebrow hairs depend on the process. Once when you finish the hair threaded, you will get some pain or redness on the skin. To avoid that feeling you can apply Aloe Vera gel or ice packs to ease them. To make it more stunning you can fill the gaps by eyebrow pencil. Let look at you in front of the mirror to see how does threading work. Where can I get my eyebrows threaded? Actually, eyebrow threading can be done at home or some beauty spa. You can google some address beauty spa near you. It seems the first time is always worried and nervous. What do you expect from this process and how it looks like. You tend to take more experience by your hand than other. Thus you decide to do it at home after reading and watching a bunch of guide videos then the result was unexpected. You need to accept this result without complaint. Insightful, depend on your hand skill you will see reality eyebrow shape and take failed reasons to make it better next time . These are some disadvantages from eyebrow threading you might consider before you choose this method. When you do it at home with the first time or lack of skill you might get painful. Otherwise, several hairs can be eliminated then you will have severe pain sensation. Sometimes, you may get undesirable results because of inexperienced threaded. Your eyebrow can be unmatched or unsymmetrical with your face. Get infection when the follicle is removed. Bacteria or dirt will grow into the tiny pockets when the hair is pulled. Some rare cases, itching feeling might appear but it will go away after some days. This is one of the common hair removal faces that women use the most. Before threading, you should prepare your facial skin carefully. These are some advice for facial hair threading you should know. Avoid exfoliating your facial skin before the day you have facial hair threading appointment. Because if the skin is exfoliated your skin will be more sensitive and redness. Keep hydration to your skin that reduces sensitive sensation. Wash your face with cold water to all hair follicle will be closed and less painful. Do not keep you make up when you prepare to thread hair facial. It probably gets an infection or irritable sensation. To avoid redness or irritable sensation you can apply some baby powder on top if you want to do it at home. 1. Is eyebrow threading safe for sensitive skin? If you have sensitive skin, eyebrow threading will be the best choice. This technique doesn’t pain much or remove any skin like waxing. It is kind of alternative and safe method to create a beautiful shape for eyebrow with sensitive skin. 2. Will the hair face grow back darker? The hair is removed by threading keen to grow back finer thus you do not need to worry about this problem. 3. Can I have a facial threading with acne? You can surely thread. There is no side effect. Otherwise, it won’t make your acne condition worse. 4. If I have cosmetic surgery, can I get threaded? This problem should be consulted with your doctor to make sure the healing time and how much time you will wait for resume threading. 5. Can men make eyebrow threading? Insightful, men make eyebrow threaded. Nowadays, beauty spa has already offer eyebrow threading service for men as well. Male models and famous stars get eyebrow threading frequently. 6. How long will I do eyebrow threading again? It depends on how fast your eyebrow hair grow. For most people, they will thread about every 2-3 weeks to keep beauty look. 7. What age should I start threading and is this good for teens? Firstly, You may start to do threading eyebrow when you feel it is necessary and you want a perfect shape for your eyebrow. 8. plucking hurt more than threading? Yes. Absolutely. Because plucking removes the root of hair but threading doesn’t therefore threading could be the good choice with painless. Threading eyebrow is more effective and precise. 9. I wonder to know about eyebrow threading before and after what does it look like? It will be totally different. The eyebrow will be eliminated all unwanted hair. The shape will be more precise. You don’t need to take a long time to draw.